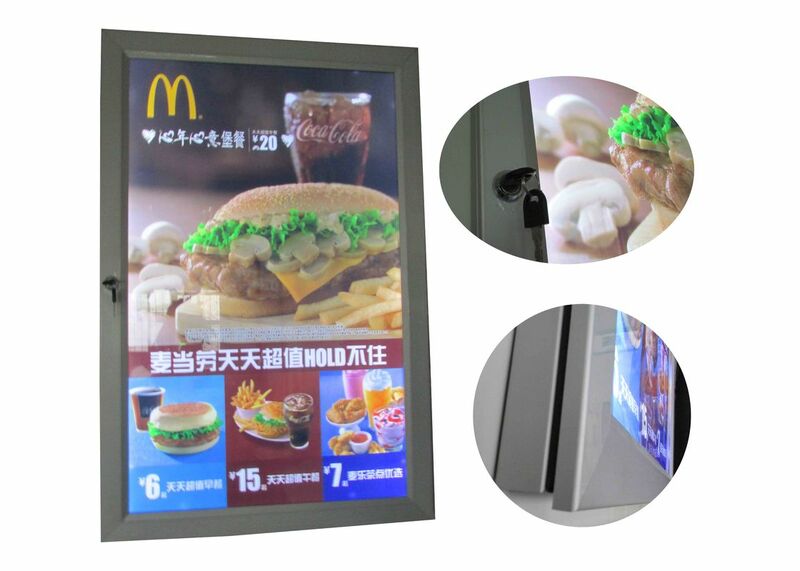 Board strucutre: 4 mm acrylic sheets with light spread laser dotting(LCD technology),ACP board as back board, front panel 3mm clear acrylic material for real imaging watching. For the size, it can be customized less than A1 size. Cant not be in A0 as our profile not design for biger size. 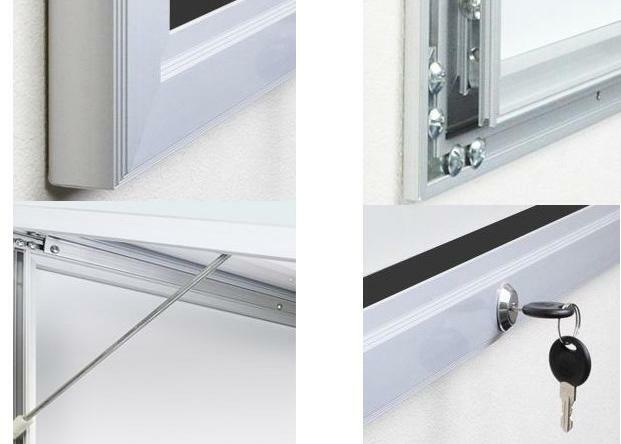 Spare Parts: Couter Top space hanging brackets, screws and anchors can be inlcuded. Frame Color: Black color. Can be customized. Spare Parts: Wall mounting brackets, screws and anchors can be inlcuded. IP grade: IP 56 grade waterproof.